Most of you are aware of my mentor program that has successfully catapulted specialists into full-time paid positions and even managing the operations of private industry companies to much of the chagrin of others in the industry. Group 1 For the specialist/operator: This is the initial group formed to help those specialist who are struggling or stagnant in the industry. Group 2 For the Service Provider: This group will focus on the business owner and assist him/her from the competitive business side of the industry. This group will start later in the year. 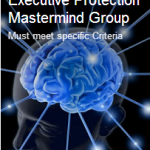 The Specialist/Operator EP Mastermind group will last for 6 months which will consist of two  one hour monthly webinars on a Private Google+ page that I have formed. It will also include 1,] one on one phone 20 minute call with me each month to discuss any issues you are having with the monthly topic. This is an open door to Eric Konohia and BPI Security during this call. In order for the EPMMG to work effectively, I have to share openly as well, and I will. Each month will have a Theme Topic related to the industry. Each webinar will have an agenda that I will share prior to the call. The first webinar of the month I will address the topic for the first 30 minutes and the last 30 minutes will be the opportunity for each member to share their experiences on that topic. At the conclusion of the webinar there will be an assignment to be completed by the members that they will we address on the second webinar in that month. I also have experts [that many in the industry don’t have access to] that will address the theme of the month. One of these experts is a personal friend and industry expert Dr. Paul Viollis. [Google him on your spare time]. Prior starting the EPMMG, there will be a phone interview with all who are still interested. The phone interview will determine if you are eligible to participate and if you actually bring value to the EPMMG. In order for any Mastermind Group to work, all members must bring VALUE and share that value so that others can learn from the experience. This is not a join and learn only experience. To date I have only pushed the EPMMG on Facebook and have received an enormous response, however today I am opening up this opportunity to the blog subscribers. If you are interested, please send an email to me of your interest and I will send you the introductory email with specifics. 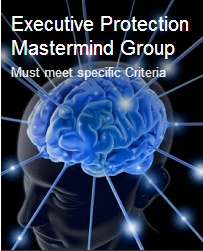 In order for any Mastermind group to be truly effective, the amount of members should be kept to a small number. That said, there will be limited spaces in the first launch of the Group. Eric, I would love to be apart of the group. I would love a spot in the group sir. I have been signed up for your e – mail alerts and I never recieved anything, I also check your you tube channel often and that is how I just found out. I hope I can be apart of this now or in the near future. Mr. Konohia, I just caught your YouTube segment regarding the EPMMG. I would love the opportunity to participate and share my experiences with the group. If it’s not too late, please inform me as to what you require and I’ll get it to you ASAP!